Yeah. It hit me pretty easy when I saw the movie again. For all intense and purposes it's your typical Bad Bruckheimer movie, but it's got Depp and Rush at there campiest and they make it a whole shizzy of fun! 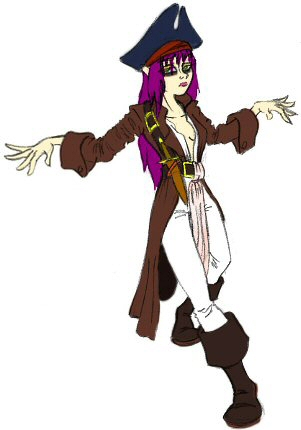 So I figure if Faris were any kind of pirate, I'm forever gonna picture her as that kind.